There are little discrepancies today between the opulent 1920s privately owned manor and the current popular Corolla attraction, and modern visitors will be able to enjoy the ornate details, the expansive 21,000' square foot premises, and the immaculately designed art-nouveau retreat that a wealthy Rhode Island couple once called their home away from home. Enjoy an exploration into Corolla's literally ruin history with a visit to the Whalehead in Historic Corolla, and see one of the country's best eras of architecture come to life in exquisite, full detail. As popular as the Outer Banks are today, specifically the northern regions of Corolla and Duck, it's hard to believe that less than a century ago, the area was all but deserted, and populated with just a small handful or residents and employees of the lifesaving station and the Currituck Beach lighthouse. One such future resident who caught wind of this information was Edward Collings Knight, Jr., a devout waterfowl hunter and nature lover, as well as a wealthy industrialist, who fell in love with the area and purchased a 4.5 mile section of the northern Outer Banks, called the Lighthouse Hunt Club. Newly married, he brought his wife Marie Louise Lebel Bonat Knight to the area for their honeymoon, and the couple began to lay out their plans for the modern day Whalehead in Historic Corolla. The pair had lavish residences in both Philadelphia and Middletown, Rhode Island, and they envisioned their new winter home to be a mirror of these properties in both size and amenities. The Knights spent the majority of the mid-20s building their dream home, with architectural features that paid homage to Pennsylvania farmhouse and French-Canadian country, but which most modern visitors recognize as the 1920s style of Art Nouveau. Structurally, the majority of materials had to be shipped in to Corolla to complete the 21,000 square foot structure, which included five chimneys and was easily the largest residence that the northern Outer Banks had ever seen. Despite its grand size, the true achievements in design were arguably the little details, and the new home featured curved rooflines, ornamental chimneys, striking paint colors, Tiffany lighting, distinctive porches, and all the little touches that made it distinctively unique to its era. Even today, the Whalehead in Historic Corolla is considered one of the best standing representations of Art Nouveau ornamentation in the country, making it a must-stop for Great Gatsby lovers everywhere. The end result was a decadent home that the Knights were tremendously proud of, and for a few years, they lived the beach life in style with miles of privately owned beaches that spanned from the ocean to the Currituck Sound, with no other neighbors except for a small community of villagers. In fact, the Knights were even the first residents to have electricity and running water on the northern portion of the island, with a special diesel motor and 2,200-gallon pumping system that provided them with these amenities almost four decades before mainstream electricity came to the rest of the northern Outer Banks. Unfortunately, the Knights did not enjoy their carefully built home for long, and both passed away in 1936. After their death, the Whalehead in Historic Corolla served a number of purposes that were well outside of the realm of luxury that the Knights originally intended. In the early 1940s during World War II, the Whalehead in Historic Corolla served as a residence and bunker for the US Coast Guard, the new branch of military service that had replaced the life saving service, which had formerly guarded the North Carolina coastline. After the war, and after a property ownership change, the property was leased to an educator who created the Corolla School for Boys, which essentially was a summer boarding school for relatively wealthy students that focused on education and outdoor recreation, and remained in operation until 1962. At this juncture, the school closed, and the property was leased again, this time to the US Government that was entangled with the growing cold war between the United States and Russia. 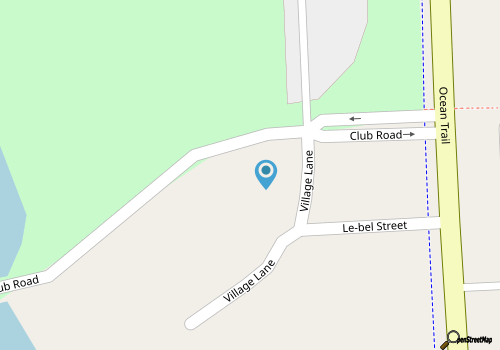 The site essentially became a rocket fuel test site, under the management of the Atlantic Research Corporation of Alexandria, Virginia, and was eventually purchased by said company in 1964 due to the property's secure and off-the-map location. The venture eventually led to the successful development of large booster rockets, which proved to be instrumental additions to the nation's growing space program. The property was sold in 1969, however, so the company could find a new remote locale, and in the years that followed the area developed and more sections of that original 4.5 mile tract were sold off to interested investors and developers. The recent additions of electricity, running water and paved roads, coupled with the northern Outer Banks close proximity to the already popular vacation destinations of Nags Head and Kill Devil Hills, made the area very popular with new community investors. As a result, for a time, the Whalehead in Historic Corolla was in danger of being completely sold off, with nothing left of the original Knight parcel of property. Luckily, in 1992, Currituck County was able to purchase the property, and secure public sound access as well as one of the region's greatest treasures. By 1994, the county was able to acquire 39 acres which included the original residence, the lighthouse, and acres of waterfront property. 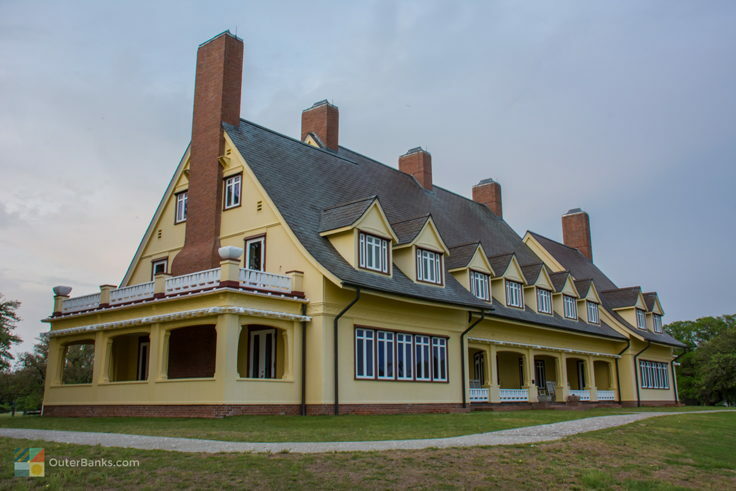 Renovations to the house began In 1999 to make it a focal point of the new park, and by 2002, the restoration was complete, and the Whalehead in Historic Corolla was back to its original grandeur. The process was so transformative, in fact, that new visitors are often surprised to learn that the stunning and immaculately maintained residence was once a military barracks locale, a boarding school, a rocket fuel testing site, and then, for a short time, a deserted residence. The fate of the Whalehead in Historic Corolla has essentially mirrored US History for the past century, and visitors can explore this rich history with a personal tour, and enjoy the decadence the Knights originally envisioned, while noting the historical footnotes the Whalehead in Historic Corolla has claimed in the past 80+ years. The Whalehead in Historic Corolla is generally open throughout the year, with audio self-guided tours through the main house, and expertly guided tours through the house and / or the grounds including the boat house and the hunting areas that were so prized by the Knights and other early visitors. The main tour of the home runs about $10 for adults, $5 for students, and free for children under 8 years of age. These tours take visitors through the 21,000 square foot building from top to bottom, noting essential architectural details and historic portraits or works of art throughout. 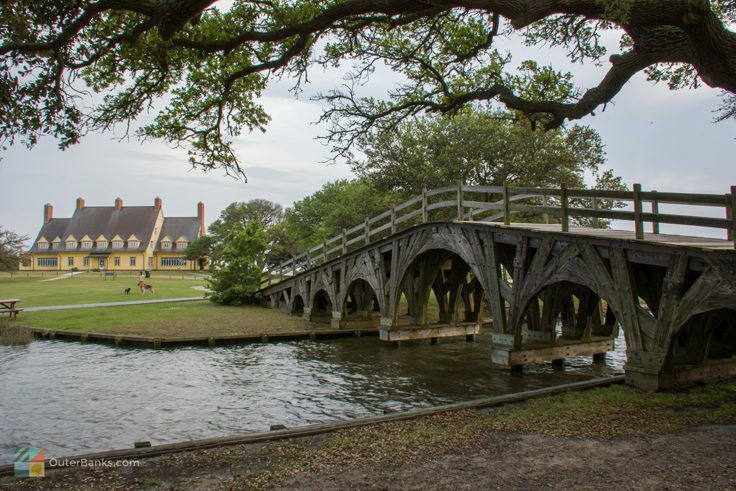 Every visitor to the Whalehead in Historic Corolla with a fascination of local history or essential American architecture should invest in this tour, which is an eye-opening exploration on the vacationing lifestyles of Corolla's elite predecessor visitors. Guided tours of the house are offered Monday through Friday, generally between 11:00 a.m. until 3:00 p.m., and includes local experts in the Whalehead in Historic Corolla to spearhead the house exploration, and answer any questions along the way. For a detailed tour that covers the ground past the main house, the Whalehead in Historic Corolla offers Boat House tours which uncovers the generator room which provided electricity to the Knights decades before it reached the rest of the Outer Banks. Other special tours are also available, including a Hunting and Maritime Tour which covers the extent of the property, including on-site hunting grounds during the Kinghts' residence, and the Behind the Scenes Tours, which delves into the experience of the Knights' servants, as well as the efforts of current staff to preserve and protect the treasured property. When the sun sets, guests can embark on a number of evening tours including a Twilight tour of the home that ends with a free wine tasting, and a Moonlight Ghost Tour which recounts the tales of the innumerable ghosts of residents or visitors past that allegedly still haunt the property. All of these special tours are seasonally available and can be reserved in advance by calling 252.453.9040 ext. 226, or by purchasing tickets at the Whalehead in Historic Corolla, or online. 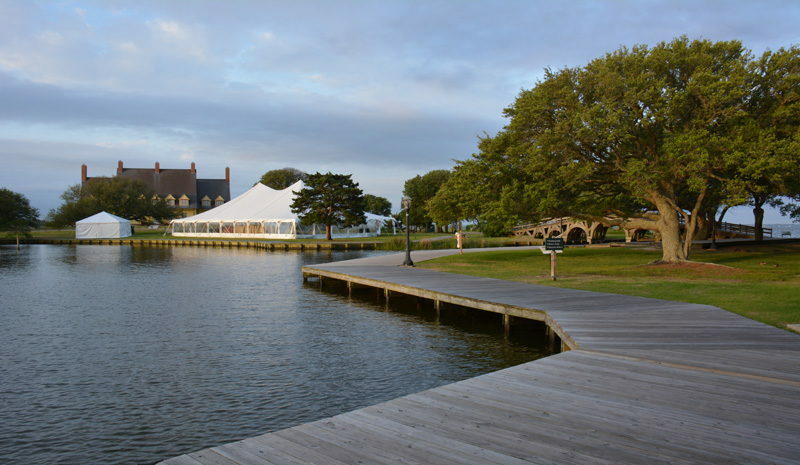 In recent years, the Whalehead in Historic Corolla has become one of the most popular destinations for weddings and special events, as the grounds around the home feature perfectly manicured lawns, sweeping landscapes, and fantastic views of the Currituck Sound. 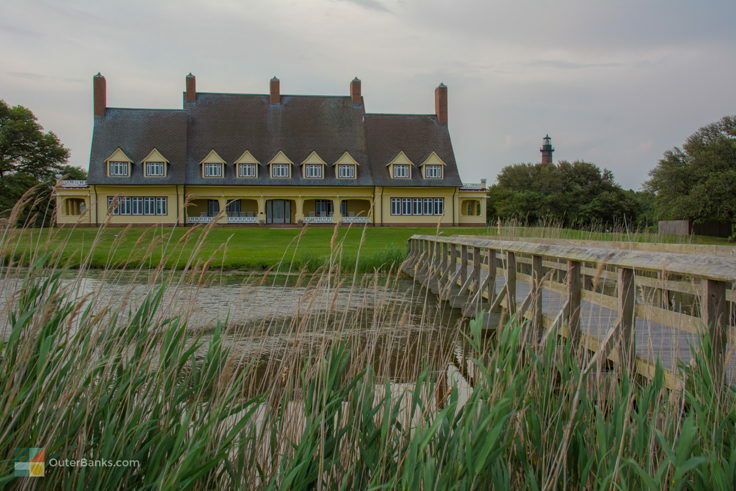 Ideal for weddings and ensuing photos, the Whalehead in Historic Corolla is wide open for a number of equally important events including receptions, rehearsal dinners, family reunions, anniversaries, corporate gatherings, and even birthdays. Pricing varies based on the locales used and the services needed, and interested parties are encouraged to contact the Whalehead in Historic Corolla's events coordinator at 252.305.0401 or at info@celebrationsatwhalehead.com. Outside of private events, the Whalehead in Historic Corolla and the Historic Corolla Park in general are home to a number of annual events, including the local wine festival, Christmas in Corolla, and a spectacular 4th of July Fireworks display. The majority of these events are held on the cut lawns outside of the Whalehead in Historic Corolla, providing an ideal backdrop to any occasion, and are wide open and free to the public. In addition to annual celebrations, the Whalehead in Historic Corolla is often home to weekly summer events, including music performances and wine tastings. To find out what events are available during your stay, visit the calendar of events online and plan on enjoying a fabulous Outer Banks celebration in style. Make sure your self-guided tour or exploration doesn't end at the Whalehead in Historic Corolla. 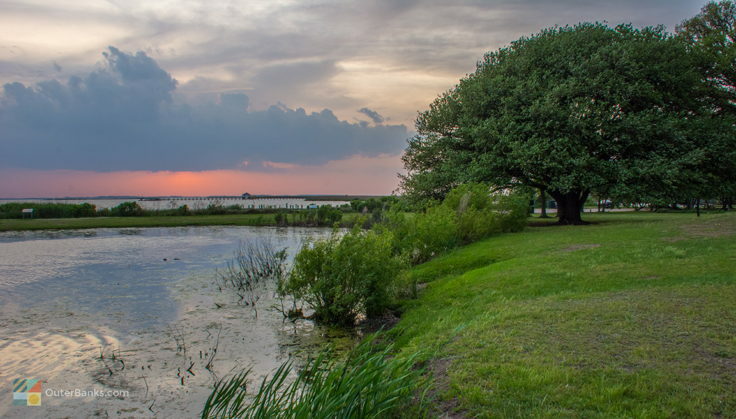 As an integral part of the Historic Corolla Park, the Whalehead in Historic Corolla is surrounded by gorgeous soundfront walking trails, the Currituck Lighthouse, and 39 acres of beautiful landscape to explore. Bring your kayak, kite, picnic basket, or just a love of the great outdoors, and enjoy a full, pleasant day on the expansive park grounds. Visitors who are in town for a week's summer vacation should plan a Tuesday or Wednesday afternoon Whalehead in Historic Corolla visit. On these weeknights, the Whalehead in Historic Corolla in conjunction with the Historic Corolla Park often sponsors fun evening events, including live music from local performers, or decadent wine or beer tastings. By showing up at the right time on the right day, Whalehead in Historic Corolla visitors can turn an afternoon tour into a full evening of fun. Ghost hunters should definitely check out the after-hours tours and programs, the Whalehead in Historic Corolla is home to dozens of local ghost stories that date all the way back to the Knights first years as residents. 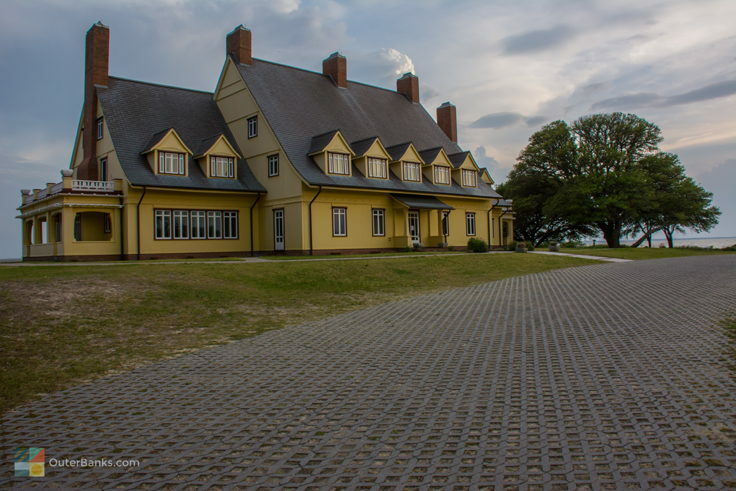 Guests who always wanted a spooky exploration around a 1920s mansion should definitely check out the calendar to plan a late night visit to this historic Corolla site. While the audio and guided tours essentially provide the same information, curious visitors are advised to opt for a guided tour. With opportunities to ask question around every nook and cranny, a guided tour will surely put all your Corolla history questions to rest, via the answers from a local expert guide. The Whalehead in Historic Corolla has become synonymous with Corolla, appearing in countless postcards, souvenirs, and local works of art. As a result, virtually every Corolla or Northern Outer Banks vacationer is all but required to tour the site, and see in-person the relics of the wealthy visitors who first blazed a trail to widespread northern Outer Banks tourism. Yes, a visit to the Whalehead in Historic Corolla is stop that every northern Outer Banks vacationer should make, but the reason why this locale has become a staple attraction for so many vacationers becomes abundantly clear as soon as you turn into Historic Corolla Park. With incredible architecture that serves as a prime example of its era, and acres of soundfront to explore, a visit to the Whalehead in Historic Corolla will make any vacationer feel like a veritable king or queen of the Outer Banks. Call 252-453-9040 for current hours.